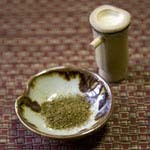 This is meant for cooking instead of drinking, and although it is made with rice, and involves some of the same techniques in brewing as sake, its taste and consistency differ drastically. Mirin is readily available in the better markets in glass or plastic bottles, and has a sweet flavor that is much more interesting than sugar. 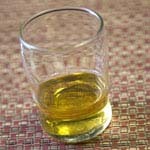 In fact, I used to use sugar plus sake for much of my cooking, but after switching to mirin, I wouldn’t go back. It is one of the necessary ingredients for making teriyaki sauce, and has the added benefit of adding a nice glossy finish to dishes. After opening, mirin should be kept refrigerated. 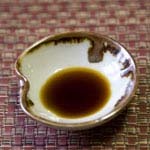 Along with soy sauce, miso paste is an important seasoning agent for Japanese cooking, and miso, which has been around at least since the 8th century, is actually older. It is made of boiled and crushed soybeans, to which a wheat, barley or rice starter is added. This is aged from 6 months to a year, after which water and salt is added to form a paste. In the old days, many households made their own miso paste, but nowadays, hardly anyone goes to the trouble. Miso is available in various colors and flavors. All are mixed with dashi to make miso soup, and are used in many ways. Shiro miso (white miso) is mild in flavor, creamy smooth, and is often made into sauce and added to salad dressing. Aka miso (red miso) contains more salt and has a strong flavor. Some people like to mix red and white to make awase miso (blended miso). I keep both varieties in the fridge; they come in plastic tubs or bags, and last a long time. 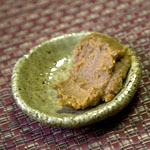 I also like inaka miso (country miso), which has an earthy flavor and lumpy texture that resembles chunky peanut butter. This is particularly tasty when added to soup stock for ramen. Shoyu has been around at least since the 16th century. 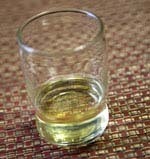 It is made from soybeans, salt and wheat, to which malt bacteria is added. This produces shoyu koji (like a starter.) After adding saltwater, shoyu is allowed to ferment for up to a year, after which it is filtered and pasteurized. These days, excellent shoyu is made in the U.S., which has a steady supply of soybeans. Light shoyu is used for many dishes in the Kansai (Osaka and Kyoto) area. It actually has a higher, not lower salt content, than dark shoyu. The lighter color is appreciated because it doesn’t darken the color of the various ingredients. Sashimi shoyu is rich in texture and color and a delightful inky black. Its’ smooth flavor goes well with sushi and sashimi. 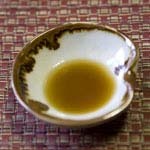 Tamari is made without wheat, and is rich tasting and less salty than regular shoyu. I use all types of shoyu often, and typically buy liter bottles. Since these last a long time, I find that keeping them in the fridge preserves their flavor.